The WOCN, making a home visit and examination, questions whether this patient should be sent to the Emergency Room. 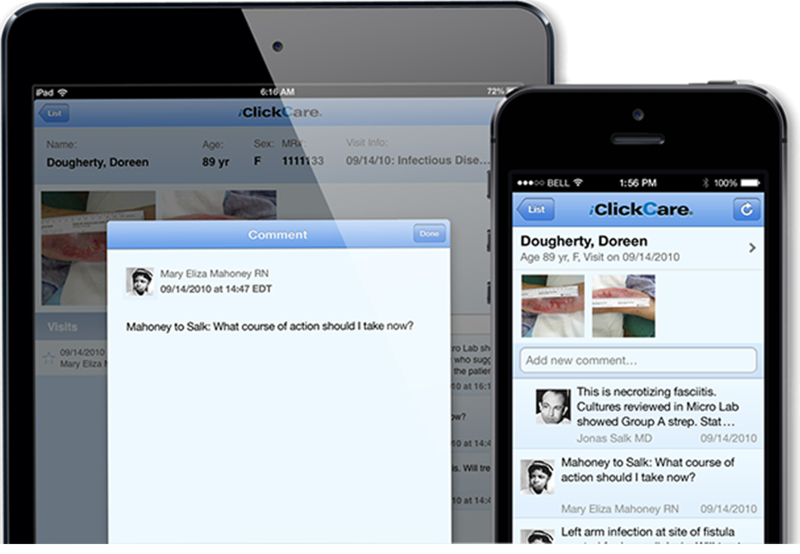 After a secure consultation, using iClickCare, including multiple photos of the patient's arm, saves a needless ambulance transport, long wait in the ER and infectious exposure. An unnecessary re-admission to the hospital is prevented.